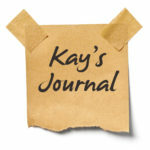 Kay’s Journal: Journalverse is Becoming JOURNALVERSITY! | Welcome to the new Journalverse! On Sunday I sent an email to all Journalverse members. If you didn’t see it, here’s the text. I’m delighted to report that 100% of the responses I have received are enthusiastic about this shift. Onward! Since I started the Center for Journal Therapy 30 years ago, its mission has been to make the healing art and science of journal writing accessible to all who desire self-directed change. For the past five years, the Journalverse has contributed significantly to that mission as a learning community for journal writers and facilitators worldwide. Now Journalverse is morphing into a bigger, broader, deeper vision that will significantly expand the reach of educational opportunities. On Sept 30, the Journalverse will transform to Journalversity — still a learning community for journal writers and facilitators worldwide, but different. We will discontinue all recurring billings, effective no later than Sept 30. You will no longer be charged. Your Journalverse membership will automatically transfer to the Journalverse“school” at Journalversity, where you will receive a complimentary three-month membership (through December 31). After that, you may continue your membership at one low annual price. As long as you are a member of the Journalverse “school,” you will be able to take any courses at any “school” at Journalversity at a 10% discount. Journalversity is an extended, expanded learning community for journal writers and facilitators worldwide. A teaching consortium including some of the most beloved Journalverseteachers are collaborating to bring short, structured courses on a beautiful, easy-to-use on-line learning platform. Each teacher will offer at least one free course along with modestly priced courses. Many courses will be self-paced and available on demand. Journalversity will provide professional development for therapists (CEs available), coaches, facilitators — and a wide array of courses for personal journal writing. Journalverse programming continues through Sept 30 without interruption. You’ll be receiving more emails about this transition. Each will be clearly marked in the header. Watch for a survey to tell us what you’d like to study, who you’d like to study it with, etc. Would you like to be part of a volunteer team who takes new classes for free in exchange for structured feedback? We’ll need a therapist team (to evaluate for CEs) and also a personal development team! let us know on the forthcoming survey. The Journalverse is still The Journalverse, even with the shift to Journalversity. We’re still a learning community! I am so grateful for your loyalty these last five years. I’m eager to have you join the new adventure! What topics/teachers would you like to see at Journalversity? 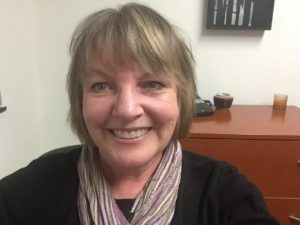 3 Responses to Kay’s Journal: Journalverse is Becoming JOURNALVERSITY! Such really exciting news… and good enough to spread to a universe! Yay. Can’t wait to tell others. Congrats, Kay!